My first exposure to Moringa Mermaid was in-store as it was one of the teas that was being sampled that day. This fruit-based tisanes smells amazing – it has a great melon aroma to it, and you can very clearly the apple (! ), and melon, and carrots. If you’ve never heard of moringa before, don’t fret because I had to look it up as well. Moringa is a tree that’s native to India, it goes by so many names, and the leaves and seed pods are the edible parts that are frequently used. Moringa is surprisingly nutrient-rich s it has a lot of vitamin B, C, A, K, and protein (among other things). I found a lot of varying information online about medicinal purposes of moringa, but nothing concrete from a reputable, peer-reviewed source. I did find some sites talking about use of moringa in high doses (although none of the pages really specified what was considered a ‘high dose’) to induce a miscarriage or used as birth control – and then there were other websites stating that moringa was often used to increase nutrient intake during pregnancy for healthier babies and mothers. 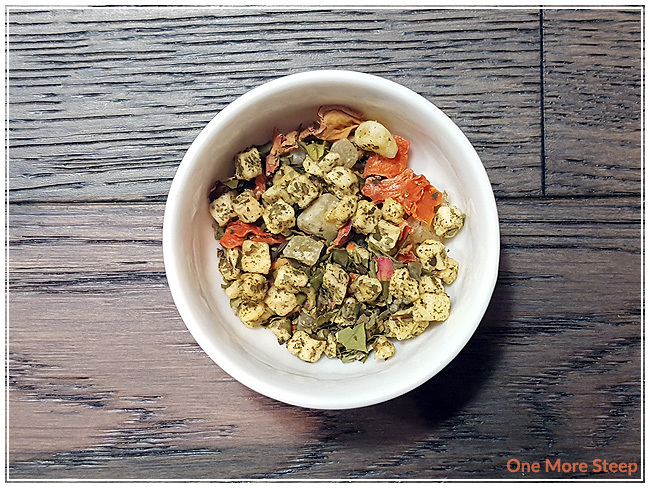 Long story short, the internet is full of confusing and conflicting information – so if you’re pregnant or looking to get pregnant, I would avoid moringa (better safe than sorry!) before talking to your health care provider about it (e.g. physician, nurse practitioner, pharmacist). Moringa Mermaid consists of melon pieces, apple, carrots, pineapple, moringa, blackberry leaves, rose petals, and natural flavouring. 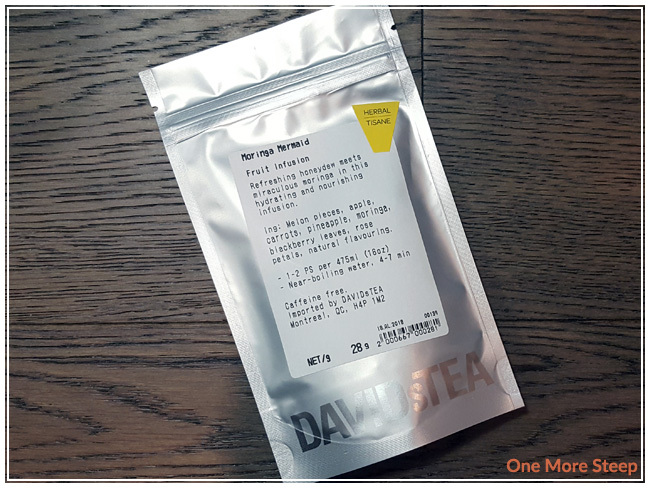 DavidsTea recommends steeping Moringa Mermaid in “near-boiling water” for 4 to 7 minutes. DavidsTea has updated their website to remove the temperature ranges (something that I do not like! 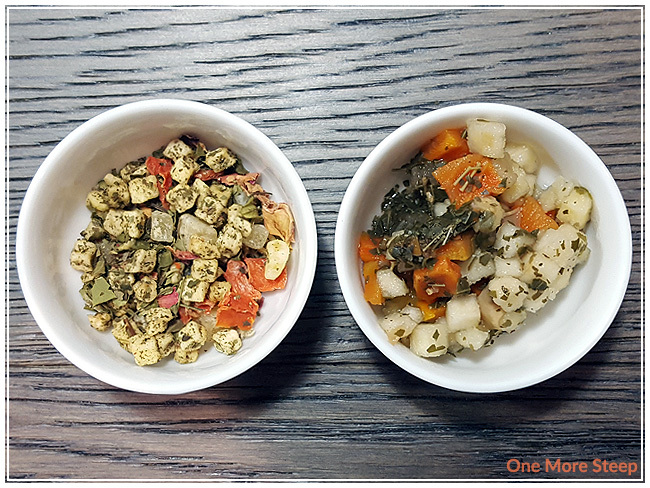 ), so I steeped Moringa Mermaid at 93°C (200°F) and I opted to do an initial steep at 5 minutes. Moringa Mermaid steep to a bright yellow and has a very fragrant melon aroma. I mostly smell honeydew from this blend, and perhaps some of the pineapple. The rest of the ingredients kind of linger in the background. The taste of this fruit infusion are mainly that of the honeydew, with some apple and pineapple in the background. Moringa Mermaid isn’t as sweet as I thought it was going to be, especially considering the fact that there’s so many fruit ingredients in it. 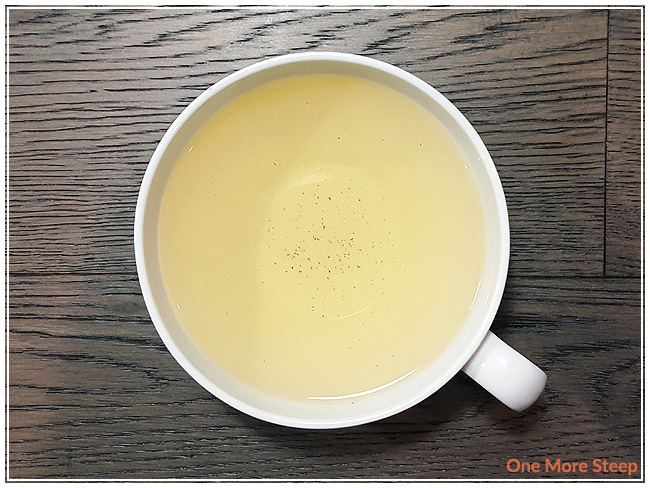 I attempted to resteep Moringa Mermaid and found that the flavour was very watered down compared to the initial steep. I thought that DavidsTea’s Moringa Mermaid was just okay. 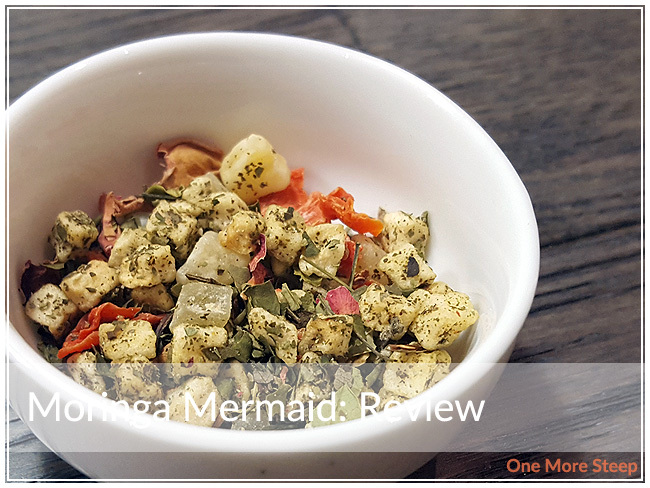 I actually quite enjoyed the initial steep of Moringa Mermaid, but found it kind of annoying that I couldn’t taste most of the ingredients in the blend. I think it’d make for a great summer iced tea, and I think if you like honeydew, you might want to try this one. I do, however, wish that there was better information out there about moringa or that DavidsTea had a section on their website about the risks and benefits to ingesting some of the herbal ingredients that they include in their blends. I also wish they would put the temperature information back on their website (it doesn’t matter as much for an herbal or fruit infusion, but it does for green and white teas).